Just hours after Finland ended its exhibition Saturday, coach Harri Rindell and the Finnish Hockey Federation announced the 23 players it will take to Ufa, Russia, for the 2013 IIHF World Junior Championship. Among the players going to Russia is Alexander Barkov, a top 2013 NHL Draft candidate who had a goal and two assists in the third period of Finland's 5-1 defeat of the United States in the team's final pre-tournament exhibition game. He has 14 goals and 28 points in 32 games with Tappara in SM-liiga, the top Finnish professional league, and is NHL Central Scouting's top-rated Finnish skater in its preliminary rankings of skaters for this year's draft. "Barkov is big, strong and a hard worker in all areas of the ice," NHL Director of European Scouting Goran Stubb told NHL.com. "He's a sniper who can also set up scoring chances for teammates. I like the fact he's a two-way center with a good understanding of his defensive duties." Two other highly regarded 2013 draft prospects also were named to the team. Defenseman Rasmus Ristolainen, at 6-foot-3 and 203 pounds, is considered a force at both ends of the ice. "He's a mobile, strong, offensive-minded defenseman with very good puck handling and passing skills," Stubb said. "He's young, but he knows how to use his size and strength. He's one of the best young defensemen in Europe in his age group. He's a leader on the ice and plays with confidence." Also picked was goalie Eetu Laurikainen, who plays in the Western Hockey League for the Swift Current Broncos. Laurikainen leads all first-year WHL goalies with a 2.55 goals-against average. Nine players from last year's fourth-place team will make the trip to Russia, including a pair of NHL first-round draft picks. Defenseman Olli Maatta, taken by the Pittsburgh Penguins with the 22nd pick of the 2012 draft, made the team and almost certainly will be named captain. Also picked for the squad was forward Joel Armia, who was selected by the Buffalo Sabres with the 16th pick of the 2011 draft. 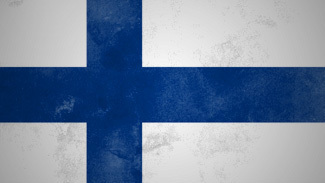 Finland plays in the first game of this year's WJC, facing Latvia on Dec. 26 at 2:30 a.m. ET.